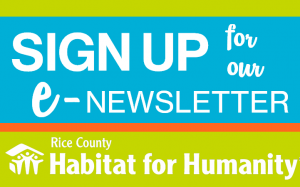 Thanks for your interest in applying for a home with Rice County Habitat for Humanity. Apply NOW for our 2019 builds. ¿Eres un hispanohablante que está interesado en postularse? Tenemos intérpretes disponibles. Envíe un correo electrónico (en español) a habitatricecec@gmail.com y haremos que un intérprete se comunique con usted. To attend an Informational Meeting, you must SIGN UP so we know you’re coming! 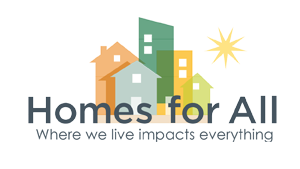 When you sign up you’ll have an individual meeting with a Habitat staff person. It’s important to notify us if you can’t make the time you signed up for. Don’t see a day/time that works for you? Let us know when works for you through this Google Form. If you sign up and cannot make it, please call our office to let us know – 507.323.5167. 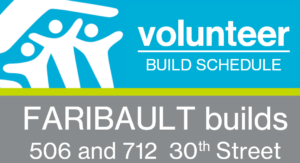 At the Informational Meeting you will meet individually with a Habitat for Humanity staff person. You will have an opportunity to get your credit report free of charge. It’s critical that Habitat understands your financial situation in order to determine if a Habitat home is the right fit for you at this time. THANKS to a grant from the Faribault United Way for granting funds to provide this service. In November 2015, the Rice County Habitat for Humanity Board of Directors passed a policy that states every family that applies with us must also apply to the US Department of Agriculture Rural Development 502 Director Loan program. This loan program includes an interest payment. If approved with the Rural Development program, the household may use that interest bearing loan to finance a home with Habitat for Humanity if approved. You must be willing to utilize this loan with interest. 1. Need for Housing – your current housing is inadequate in some way or you’re paying too much of your income for rent. 2. Ability to Pay – you must be able to pay a mortgage that includes principal, interest, taxes and insurance. Your household income needs to be at least $25,000/annually and not more than $64,000 which is 30-80 percent of Area Media Income (AMI). Even if your income is in that range, you are not guaranteed to be selected for our program. 3. Willingness to Partner – our families aren’t customers or clients – they are our partners! You must be willing to contribute 350 hours of sweat equity (time building your home). How much can you afford? It is considered affordable if you pay no more than 30% of your gross income for housing. Find out what is considered affordable to you based on your wages. Other factors: all household members must be documented residents; you must currently live in Rice County and have lived here for at least one year or have worked in Rice County for at least 1 year. Do you have Pay Day Loans? Pay Day Loans can lead to a debt trap that you can’t escape from. Find out more about this kind of loan HERE. If you need help, please reach out to Exodus Lending – a resource to help Minnesotans! Rice County Habitat for Humanity does not officially endorse or partner with Exodus Lending. 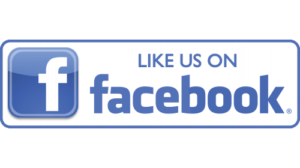 We’re just providing the information to readers as a resource.